With virtually no limit on the number of data registers and support for up to 16 protocols simultaneously, SoftPLC Gateways are the most flexible and powerful protocol converters on the market. Click on the Applications tab below for examples of the many ways SoftPLC Gateways can be used. SoftPLC Gateways are unmatched, providing protocol mix flexibility, unlimited data registers and the best communication throughput on the market, as well as providing additional advanced features/options. All SoftPLC Gateways include a comprehensive set of drivers, from which you can mix and match up to 16 protocols to meet your networking needs. Other vendor's gateways typically support only 2 protocols (eg: from protocol X to protocol Y), and are limited in the number of registers that can be transmitted. A variety of SoftPLC Gateway hardware models are available, to meet customers' varying needs for number/type of ports and other requirements. All Gateways are configured using TOPDOC NexGen - included free with your first Gateway purchase! * Some protocols may require specific Gateway models and/or hardware configurations. All SoftPLC Gateways can be user configured for up to 16 simultaneous protocols of any mix, dependent only on the available hardware ports in the specific model. The currently available protocols are listed below, others can be added by SoftPLC or by users with the SoftPLC Programmer's Toolkit. Please contact us for a quote if you are interested in a protocol not listed. * These protocols require additional hardware and may be limited to specific SoftPLC Gateway models. SoftPLC Gateway ports and protocols are configured with TOPDOC NexGen. Most drivers are configured by a simple template editor. Many drivers also include diagnostic registers that can be made available to HMI's, other connected devices, etc. A Smart Gateway combines a basic set of features, to which you can add both hardware and firmware options. Smart Gateways are assembled with your selected options, then undergo a system-level test prior to shipment. In some models you can add even more communication channels! Communication cards can be installed for support of industrial bus interfaces such as ProfiNet, Profibus, DeviceNet and others. Contact us for assistance in configuration OR use the simple webstore ordering page. To each of these combinations, you can then select additional firmware options to support advanced features such as data logging, an embedded web server, email/text messaging and more. Specify these factory installed options by appending the desired option suffix(es) to the Catalog Number. * Requires Catalog Number SM-COM6CBLTB to provide a terminal block wire connection for this port. 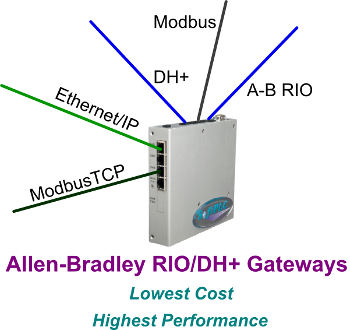 There are (4) Gateway sizes, where the selected size determines the maximum supported number of ModbusTCP Servers (connections) and/or mapped digital I/O points (digital I/O limit only applies to A-B RIO/DH+ enabled Gateways, sized by the A-B definition of logical racks). If ModbusTCP or A-B drivers are not going to be used, select the LT size. The table below illustrates some example Smart Gateway assembly catalog numbers. A Smart Gateway is, in reality, a Smart SoftPLC. For more details on advanced features, additional hardware/firmware options and available accessories, refer to the Smart SoftPLC and universal SoftPLC features information. SoftPLC's Micro Gateways are physically small, inexpensive options for simple serial to Ethernet bridging needs, such as ModbusTCP to Modbus serial. Like all SoftPLC Gateways, Micro Gateways provide data passing between networks, and also can be used for advanced functions like data logging, remote access and alarm notification. Micro Gateways can be user configured for up to 16 simultaneous protocols of any mix, dependent only on the available hardware ports. The currently available protocols for model SPBB Gateways are listed below, others can be added by SoftPLC or by users with the SoftPLC Programmer's Toolkit. Please contact us for a quote if you are interested in a protocol not listed. 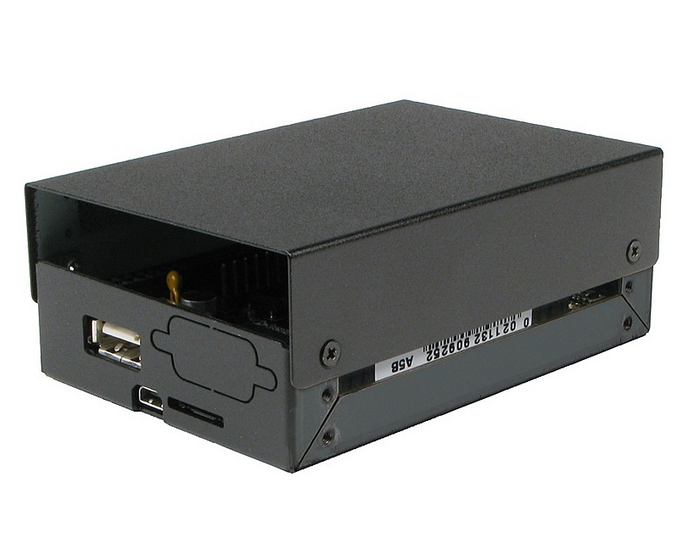 Model No SPBBA1-x is a Micro Gateway Assembly with (1) Ethernet and (1) RS-232 serial port, in a metal enclosure (see photo above). Alternatively, you can specify an open-board-style Micro Gateway by ordering individual components to meet your needs for additional serial ports, hardware to support other protocols, add a modem for remote access, etc. In either case, select the size capacity of your Micro Gateway using the table below. There are (4) Gateway sizes which determines the maximum supported number of ModbusTCP Servers or EthernetIP Adapters (connections). Append the size suffix in the first column of the table below to the model number. 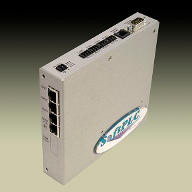 For example, SPBBA1-1K is a Micro Gateway Assembly capable of supporting up to 16 connections. If ModbusTCP/EthernetIP are not used, select the LT size. Firmware Options - software enabled capabilities that can be added to any SoftPLC Gateway. There's so many, we've put them on their own page! 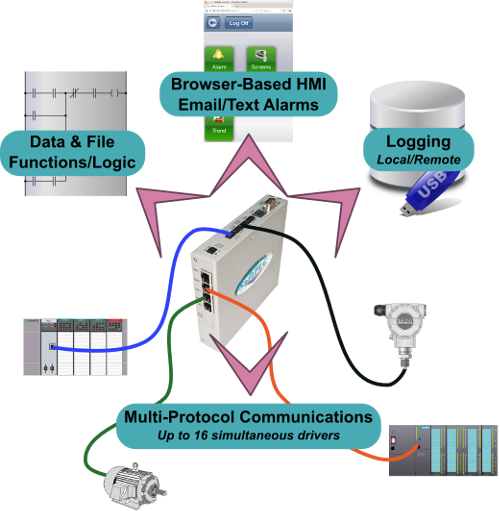 Examples include data logging, email/text messaging, embedded web server, and others. Hardware Options - The table below lists individual components you can mix/match for board-level Micro Gateway solutions. 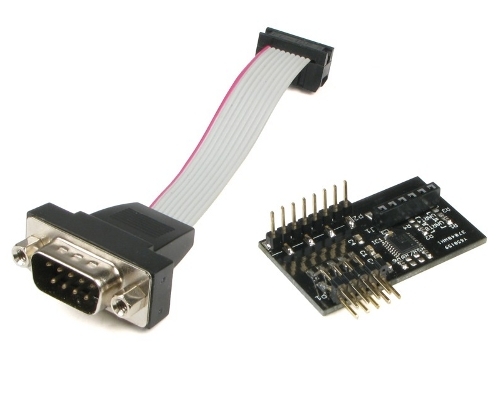 SPBB-232 RS-232 serial port, 9 pin RS-232 communication port for drivers such as Modbus, DF1, or COMGENIUS. SPBB-ENCL1 Compact, plated and scratch-resistant steel chassis. 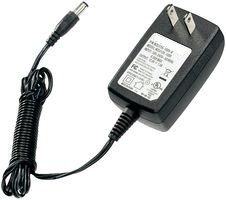 Compatible only with base unit or SPBB-232. SPBB-6DI2SP1AI Daughter Board with (2) RS-232C serial ports, SDI-12 interface, (6) 5/12/24VDC digital inputs, 12V input power circuitry, and a battery monitoring input. 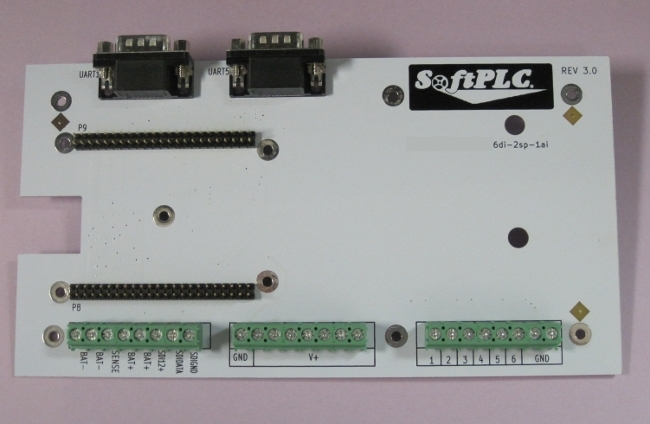 SPBB-5DIFI2SP1AI Daughter Board with (2) RS-232C serial ports, SDI-12 interface, (5) 5/12/24VDC digital inputs, (1) Frequency Input, 12V input power circuitry, and a battery monitoring input. 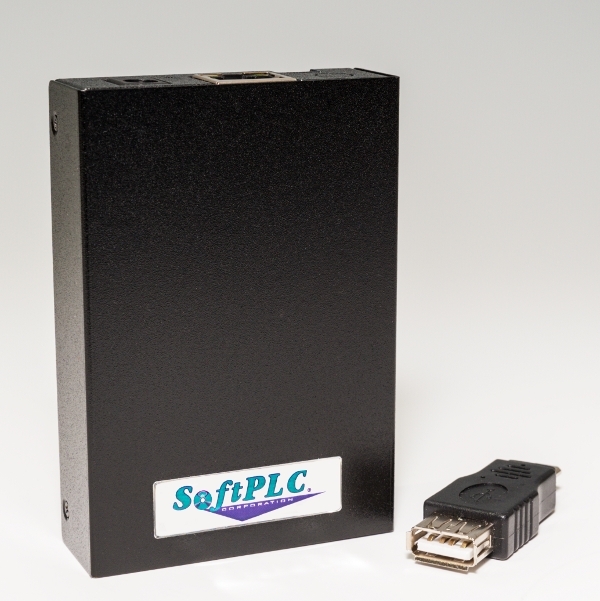 Any SoftPLC Hardbook can also be used as a protocol gateway. Each model includes multiple Ethernet, USB, and serial ports, and most can accomodate interfaces to industrial networks via add-on interface cards (Cat No SPO-PCx). Upgrade HMI's and/or drives on A-B RIO or DH+ without requiring changes to the PLC. Communicate data between devices on different network types. Pass data from devices on multiple networks or network types to a higher level system (eg: DCS or SCADA). Collect data from devices on multiple networks or network types and make it available to a higher level system ("data logger/concentrator"). Email or text alarm notification from devices at a remote location. Provide remote access via a single point to a variety of devices, using a SoftPLC Gateway, a modem, and TagWell cloud for IoT/M2M applications. Overview of all SoftPLC Gateway features, hardware options, and example applications. Hardware features and specifications for the Smart Gateway. Table of available protocols/requirements for each model SoftPLC Gateway. Smart family of products features and functions. Smart SoftPLC product features and hardware specifications. 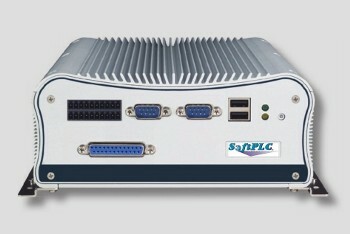 Slide show highlighting features of SoftPLC Gateway products. Clipboards are out! Protocol Gateways help make IoT efficient, accurate and low cost. Whitepaper that describes a variety of gateway solutions to tie multi-vendor equipment into cloud-based data acquisition and analytics applications. User manuals and application notes for Gateway configuration, data mapping, etc. for the various protocols can be found in the Support | Resources | Manuals/AppNotes page.